I have an aztech sound galaxy washington 16, it's like this but based on sound blaster pro 2 instead of sound blaster 2, it was my main sound card even long into the win98 era. I used it on a 386, a 486, a pentium, even when I got a k6-500 I still used it, even in the early 2000s. it's a great card both for DOS and windows, good sound quality and great compatibility with everything, I never had a problem with it. nowadays I replaced it on my DOS/win98 pentium 1 machine with a sound blaster 16 isa just for the sake of not overworking the por card, hehehe, I don't want it to break. I love my aztech sound card! 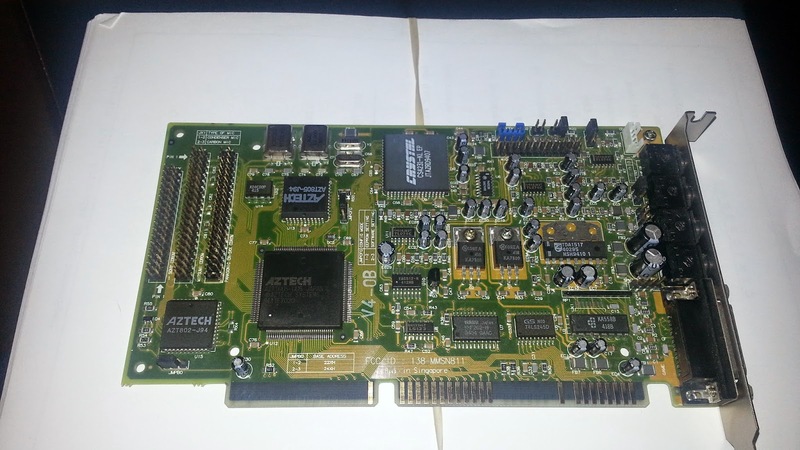 Great card but should note that boards using the AZT-1605 chip do not currently work with SoftMPU.